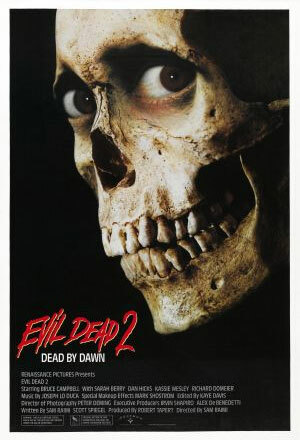 For a film originally meant as a remake, does Evil Dead II make a good sequel? For viewers unaware that this film was a recreation of the original Evil Dead, Evil Dead II would cause a lot of confusion. Ash’s apparent memory loss and complete disregard of the original events is evident by making the same mistakes: he heads out to another remote shack in the woods, finds the Book of the Dead and reads it aloud to awaken the living dead. In this reboot of the original, director Sam Raimi fills it with more explanation, better character building and a clearer direction of narrative as this film makes more sense, but only to a degree. Travelling to the shack with his girlfriend, Ash befriends rednecks who carry his bags to the cabin. 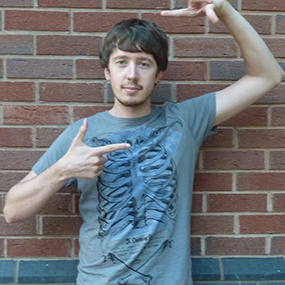 These minor characters inevitably act as cannon fodder for the viewer’s entertainment, replacing the other members of the group in the original film. This movie takes the original Evil Dead and plays to its strengths: the comedic side is much more farfetched and the horror aspect is generally scarier; both of these elements are displayed in one scene where Ash cuts off his own hand only for it to start attacking him. Evil Dead II includes a fantastic montage of Ash’s hydraulic chainsaw arm extension being built; scenes like this are a real joy to watch, making the film more accessible for non-horror fans. This film is more cohesive than the original Evil Dead, with a lot more explanation and zombie-fighting action. The major negatives from The Evil Dead seem to have been addressed, creating a much more enjoyable film. More of the same please, Mr Raimi.